While Title feature is quite common in mmorpgs, khara is a new feature introduced in RO2. Similar to normal quest, khara system is much simpler, where no npc is involved. Mission can be accepted (in this case challenged) , from the khara window, and you will be rewarded as soon as you fulfill the objective. The Khara info window can be accessed by pressing 'O'(default key). Press O to access this window. There are a lot of box, each with different mission. As you can see above, the icon lighted up is available while those which are dark, are not available yet. To unlock them, certain level have to be reached, or some normal quest have to be done. After you finish khara mission, you will be rewarded, and the icon clear will come out. 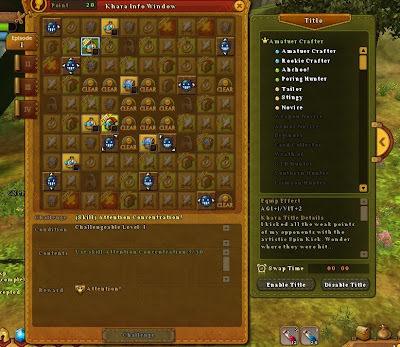 Various type of quest are available can easily be distinguish by their icon. Sword (orange) : Hunt certain boss monster . These boss usually have high hp which require full party. 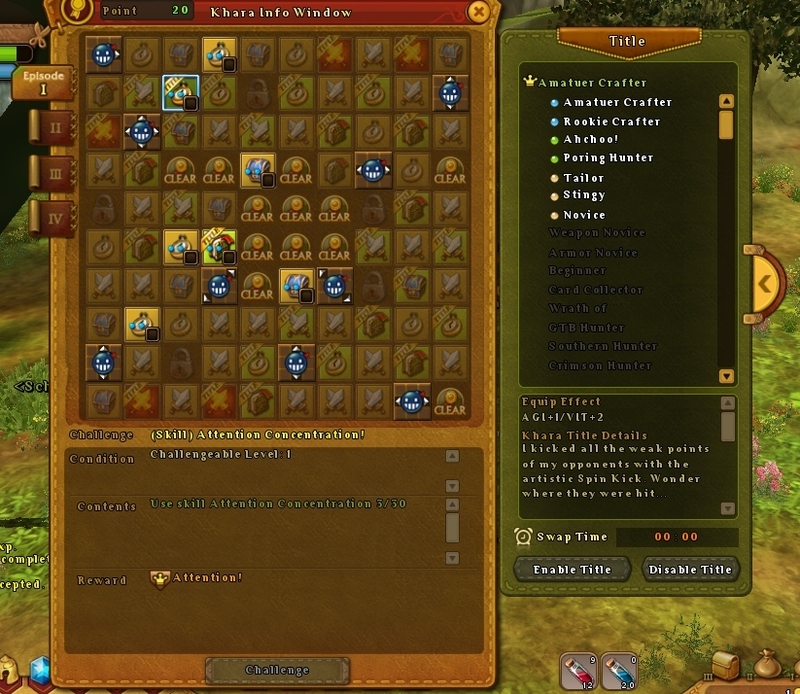 Finish series of dungeon quest. Obtain 'x' number of cards. As you can see in the picture above, some bomb icon exist with arrows in it. Clearing khara mission where the arrow points will give you a lot of job experience and zeny. See below , one of the end game title. Awesome stat. Em, the left one is what i am using now. 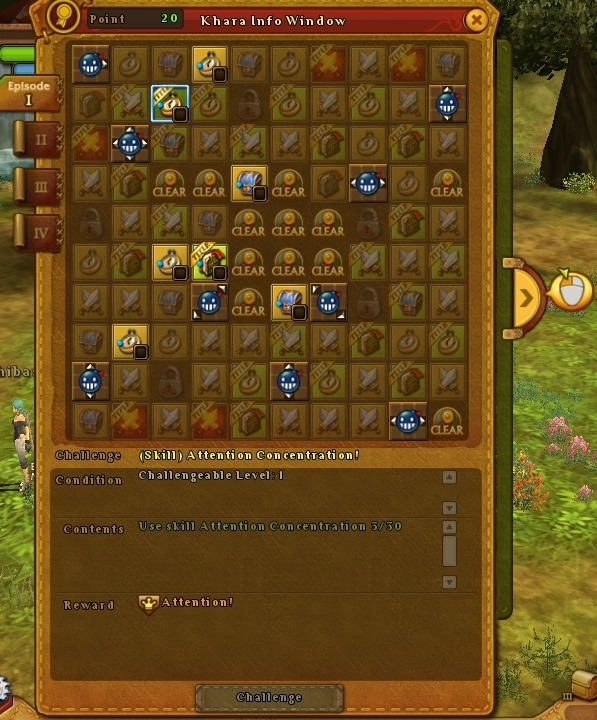 RO2 : Ragnarok Online 2 Archer !